1. To present as fully as possible and proper in a work of this character a statement of the laws of healthful living, giving such special prominence to the subject of stimulants and narcotics as its recognized importance and the recent laws relating to the study of this branch of hygiene demand. 2. To present in a simple manner such anatomical and physiological facts as shall give the child a good fundamental knowledge of the structure and functions of the human body. 3. To present each topic in such clear and simple language as to enable the pupil to comprehend the subject-matter with little aid from the teacher; and to observe in the manner of presentation the principle that the things to be studied should be placed before the mind of the child before they are named. A natural and logical order has been observed in the sequence of topics. Technical terms have been used very sparingly, and only in their natural order, and are then fully explained and their pronunciation indicated, so that it is not thought necessary to append a glossary. 4. 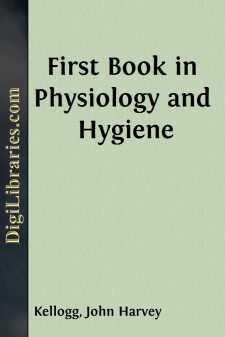 To present the subjects of Physiology and Hygiene in the light of the most recent authentic researches in these branches of science, and to avoid the numerous errors which have for many years been current in the school literature of these subjects. There is no subject in the presentation of which object-teaching may be employed with greater facility and profit than in teaching Physiology, and none which may be more advantageously impressed upon the student's mind by means of simple experimentation than the subject of Hygiene. Every teacher who uses this book is urgently requested to supplement each lesson by the use of object-teaching or experiments. A great number of simple experiments illustrative of both Physiology and Hygiene may be readily arranged. Many little experiments are suggested in the text, which should invariably be made before the class, each member of which should also be encouraged to repeat them at home. It is also most desirable that the teacher should have the aid of suitable charts and models. In conclusion, the author would acknowledge his indebtedness for a large number of useful suggestions and criticisms to several medical friends and experienced teachers, and especially to Prof. Henry Sewall, of the University of Michigan, for criticisms of the portions of the work relating to Physiology.